Kelvin is joined by writer, cartoonist and podcaster, Ryan Estrada, creator of the Big Data podcast. Ryan talks about the process of making such a large scale radio drama, working with celebrities, and watching animals eat a dead giraffe while almost becoming a dead giraffe himself. Ryan also bullies Kelvin into eating a piece of notebook paper and premieres a song to be featured in Bigger Data, the sequel to Big Data, coming soon. They share Memories of Regret and a new segment, Moments of Triumph is premiered as well. Nothing's Really Real is based out of Busan, South Korea. 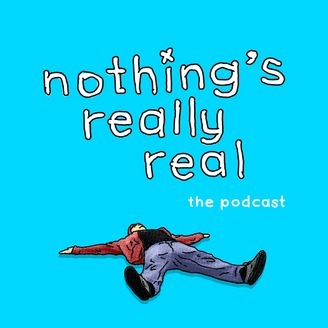 It's a podcast where we talk about art, music, comedy and ... anything else.